Learning to play a new musical instrument is not always easy. You are going to have to be patient and dedicated to get it done. The idea of using an iPhone to learn how to play a guitar (or other instruments) is intriguing though. The gTar is an exciting product that lets anyone play guitar regardless of their level of experience. All you have to do is dock your iPhone in its body, start the gTar app, and use the interactive LEDs along the fretboard to learn how to play. The gTar is designed to give you plenty of practice. While most guitars have pickups to amplify the sound of vibrating strings, the gTar relies on sensors to detect exactly what you are playing and relay notes to your iPhone to produce the sounds. Its app comes with a library of songs you can start playing right away. The gTar has three levels of difficulty. Since this is a digital instrument, you can go beyond guitar sounds. This exciting project is currently being funded on Kickstarter. 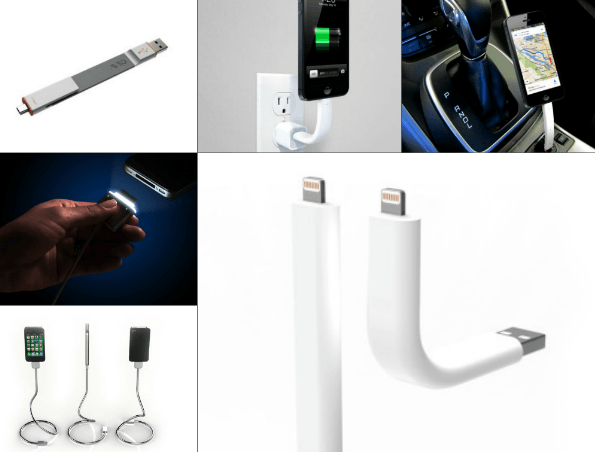 Speaking of exciting Kickstarter projects, the CordLite is a cool night time iPhone charger cable that could make your life easier. It enables you to see your phone’s charging port in the darkest rooms. 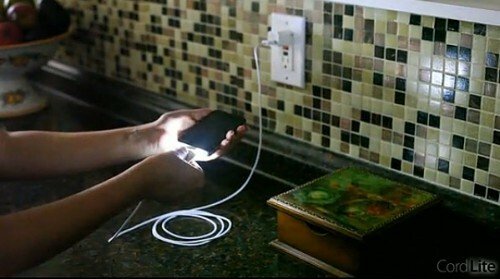 That means you won’t have to rely on guesswork to connect your iPhone to a power source during the night. What’s nice about the CordLite is the fact that it is a touch sensitive cable. The CordLite only illuminates when you touch it. This is up for grabs for $30 on Kickstarter. Steve Jobs Wanted An iCar?